This past week, Sarah turned 8. Sarah is silly, smart and super sassy. Some days it feels like we have a teenager living in our house. Sarah loves playing outside and going on adventures. She’s very curious about the world, but only wants to be in small groups of friends. She still loves riding her bike, with smudgy glasses and muddy hands and shoes. Sarah likes going on some one-on-one time with me. 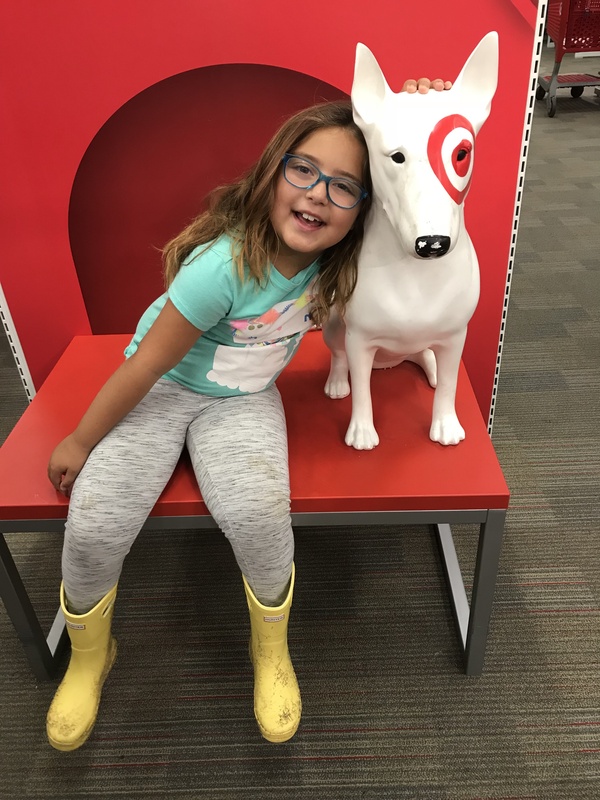 She likes to escape with me on a Target trip or get a sweet treat. Sarah loves making things with recycled material. She brings lot’s of beautiful “art” pieces home from school. If she’s not playing outside with her bestie, Jules, you can find her in her room playing with her creations. She likes slime, water beads and drawing dolls in her journals. Instead of a party this year we took the kiddos on a birthday trip to Legoland. She was most excited about the LEGO Friends section. As our tradition goes we asked Sarah for a few of her favorite things. Here is what she said. Favorite activity to do inside: Play Roblox on the computer and LEGOS. Happy 8th birthday my sweet love! Have courage and be kind. To see previous birthdays click below. After cooking for 5 days straight during the week, I basically throw in the towel when it comes to the weekend. However my kids still need to eat, so my favorite quick and easy, but lunches on the weekend is a tuna with crackers and veggies tray. Thanks to Moms Meet, I was recently introduced to Wild Planet Albacore Wild Tuna. the tuna where they will be absorbed quickly and provide added flavor. result in the wasted by-catch of other species. to have earned recognition as the #1 brand. My family was so impressed with Wild Planet Albacore Wild Tuna that I went to their website and found a recipe for Tuna Cakes. Gently flake cans of tuna. I like to use this tool to break it down. 2. Mix in ingredients together until thoroughly combined. 3. Heat a bit of oil in a frying pan over medium heat. 4. Shape tuna mixture into balls and flatten into round cakes. Dip into the other bowl of beaten egg, then coat with a light layer of breadcrumbs. 5. Cook tuna cakes until each side is crispy and golden brown (3-5 minutes on each side). 6. Top with a squeeze of lemon and enjoy! Connect with Wild Planet on Facebook, and Instagram. 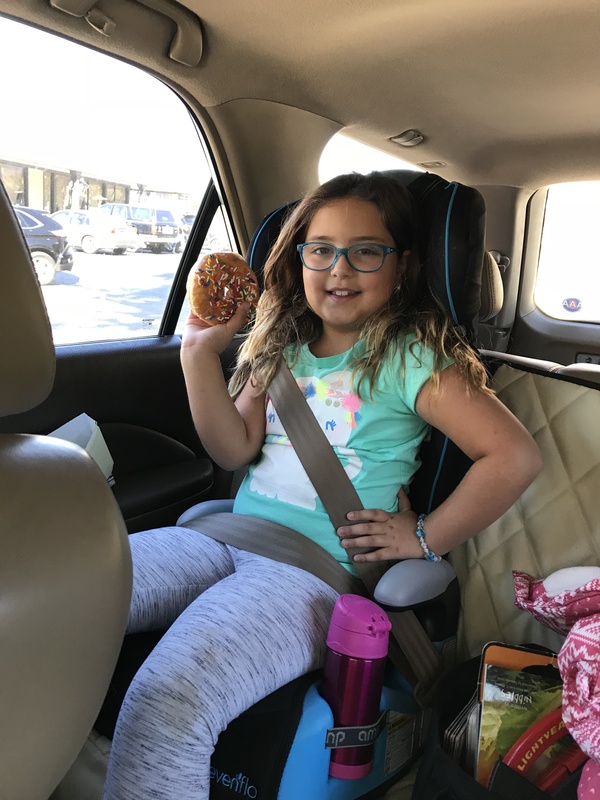 Disclosure: This post was written as part of my participation in the Moms Meet program.While Wild Planet provided me material and necessary resources to complete various activities, the thoughts and statements in this post are my own. I’m linking up with Shay and Sheaffer for some random monthly fun. My lazy go to meal when I’m not feeling creative in the kitchen is roasted chicken and potatoes. I always have both on hand and frequently reach for this “recipe” when I’m just trying to feed my family. Luckily we all like this dish so it’s a family go-to. I saw a cold pasta dish at Trader Joe’s the other day and decided to make a warm version. I boiled pasta according to the box and added TJ’s green veggie mix into the wok. Voila! Ps no one other then me ate it. Womp womp. We celebrated St. Patrick’s Day with a green board and a make your own fruit kabobs. 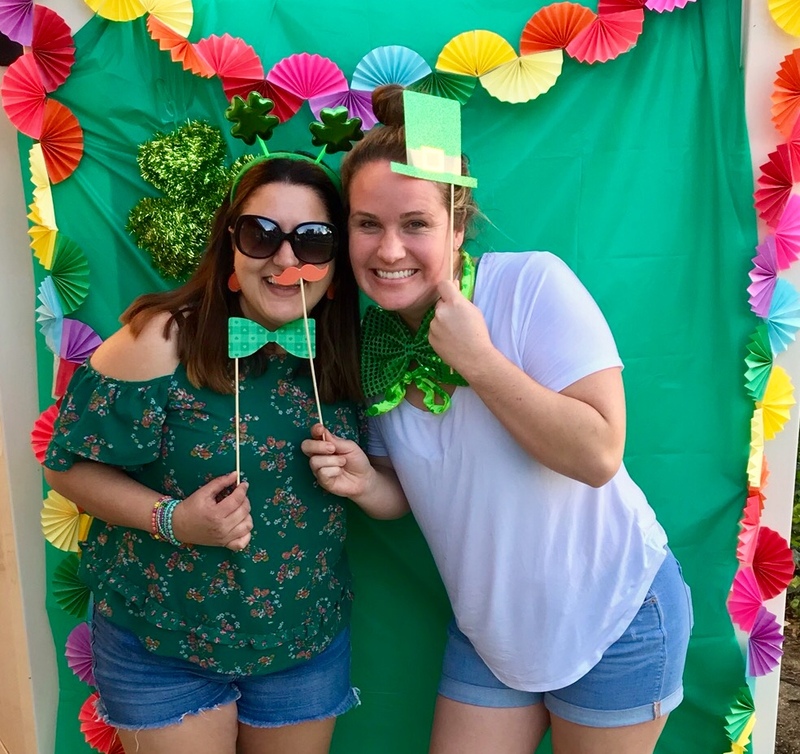 We recently had a St. Patricks’s Day potluck party in the neighborhood! We had a great turnout and lot’s of yummy food. We even made a little photo wall. So very thankful for my neighborhood. My sister gave birth to a healthy and beautiful baby boy! The last time I saw Osh she was still pregnant. I can’t wait to meet my new nephew!! We recently celebrated the Jewish holiday called, Purim. It’s a mixture of Halloween (we wear costumes) and Easter (we give out baskets to family and friends. Every year I like to do a theme. This year we chose ocean. Hubby and I were lifeguards, Sarah was a mermaid and Jacob was a shark. Our mishloach manot aka baskets were also ocean themed. We had sea weed, gummy fish, blue Gatorade, shark candy, sea shells, lei and of coarse the Purim dessert, hamentashen cookies. The 110 temps this summer. I’m not a fan of the heat. Our summer break plans. We are going to do a few summer camps, mini vacations and work on the house. It’s going to be a busy summer! We bought our townhouse recently. I can’t wait to change EVERYTHING and make it our own. I recently got this rain jacket in olive. It’s come in handy during all this So Cal rain. It’s lightweight, waterproof, has a hood and the color is my favorite. I love it! Going to Legoland! Instead of birthday parties this year we opted for a vacation instead. So in between Sarah’s birthday and Jacob’s we are taking the kids for their first trip to Legoland. Spring Break in Florida! Can’t wait to see my nephews and my family. This month we celebrated Sarah’s 8th birthday and next month is Jacob’s birthday! Can’t wait! Question of the month is: What’s your favorite Easter Passover side dish? It’s no much a side dish, but we had lot’s of fun using this kit last year. For a while now I’ve been hearing the buzz about “salt spas”, but never had a chance to check it out. I finally grabbed a few girlfriends and made it out to Halo Salt Spa. What is a Salt Spa? According to the sweet owner, Ali, it’s the best room for you to sit (or even lay) in. Dry Salt Spa also known as Halotherapy, benefiting adults and children alike, as well as athletes. It is natural, safe and there are no harmful side effects. We sat in their salt room for 45 minutes taking it all in. Some of us chatted while one mama took a little power nap. Using a salt vaporizer the room is filled with a fine, breathable salt that doesn’t irritate your skin or cause choking and instead helps to purify your skin and clear up any respiratory issues that may be felt on a day-to-day basis. They even provide tissues around the room as lot’s of visitors end up clearing out their sinus by just breathing the fresh air. For general respiratory hygiene, visiting Halo Salt spa once or twice a week will enhance the lung capacity, boost immune system, reduce stress and help promote sleep. The high mineral content of the therapeutic grade salt is an effective natural treatment for asthma, acne, allergies, eczema, sinusitis, psoriasis, COPD bronchitis, and emphysema. My favorite part was playing with the salt. They also provide a special toddler time at 10 am and 4pm. This “class” is especially for the kids. The kids can dig in the salt with sand toys (provided), read books or just hang out in the salt room. For $30 they also have Kundalini Yoga classes inside the salt room. Even the bathroom has a couple salt scrubs by the sink. Salt sessions are $25 per visit. Or a 3 pack is $60. Want a free session? Call Halo Salt Spa at (805) 497-7111 and mention this post for your first free session. I love celebrating little events and getting crafty with the kids. So when Dr. Seuss’ birthday showed up on my calendar I started planning his birthday party. To celebrate his birthday we threw a “Green Eggs and Ham” themed breakfast. Since we keep kosher and don’t eat ham I found these vegan “sausage” patties at Trader Joe’s for the occasion. We had green eggs, “sausage”, hash browns and cucumber discs. We also had green smoothies (spinach, banana, peach and yogurt)! I kept the decor pretty simple. I hung a polka dot banner and party hats I found at the Target Bullseye section. I also included a few books we’ve collected over the years as a centerpiece. 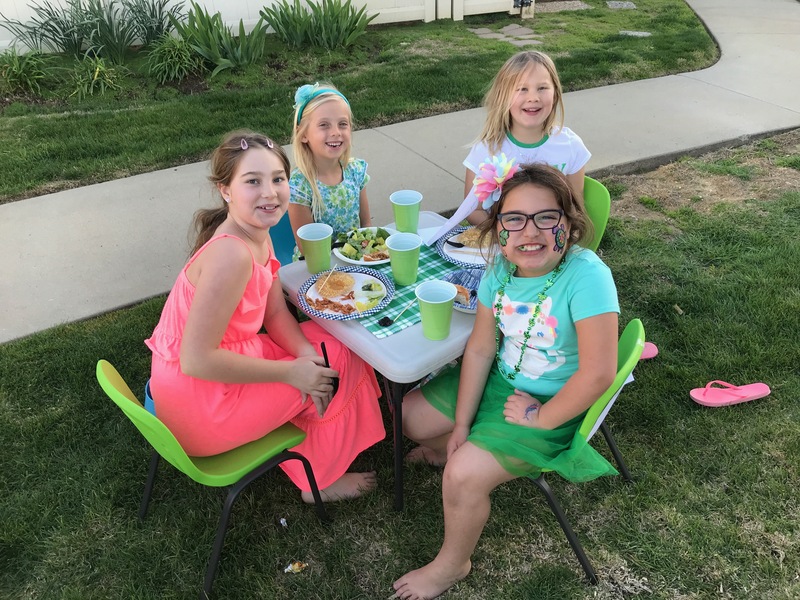 My kiddos loved the green birthday party!! Sarah read a book to us and I shared my favorite quote below. Happy birthday Dr. Seuss! Thank you for writing such fun books. 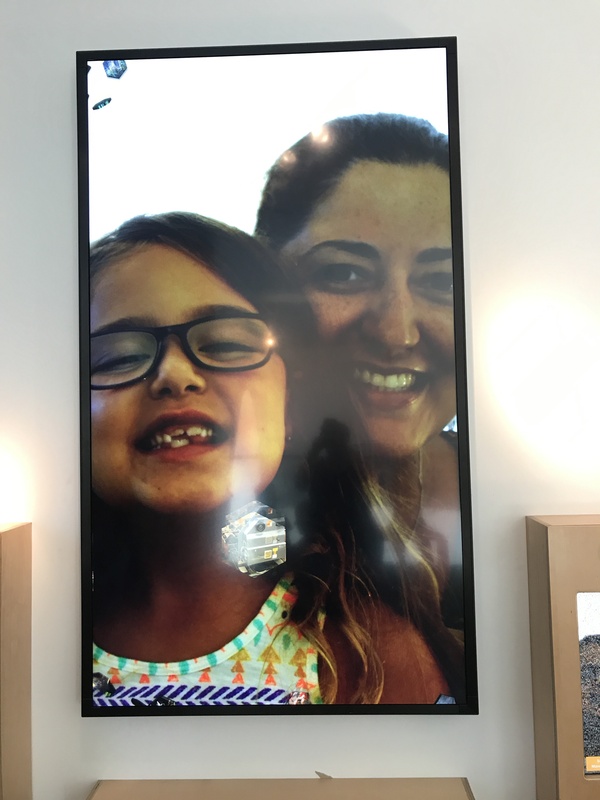 As part of my Adventures With Kids series, today I’m highlighting a place we’ve been to a couple of times, The MOXI Museum. 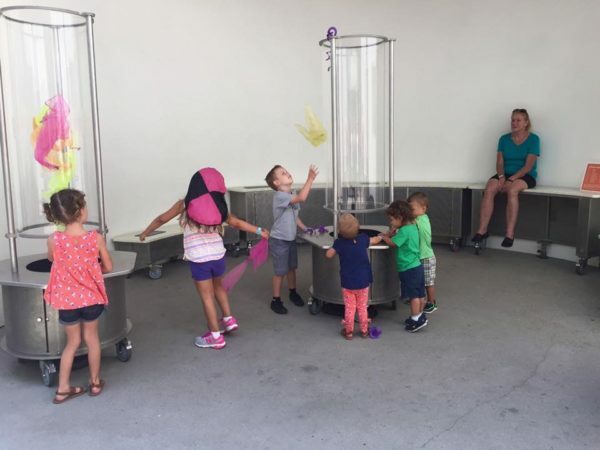 The MOXI museum is located in Santa Barbara where this kid friendly museum focuses on Science and creativity. We touched, played, danced and even recorded a song. Floor 1 also had an outdoor space. The kids played with magnates and different forms of air. My favorite room was the light room! We payed with a ginormous Lite Brite wall, magnatiles, and designed on the projector. We also got to build and race the cars we built. 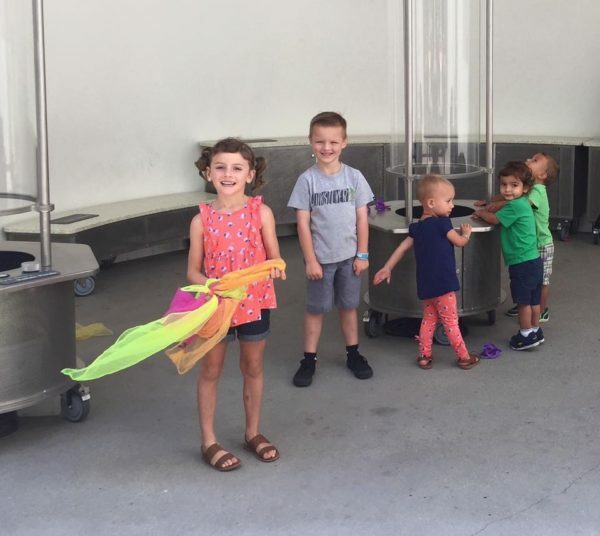 This outdoor space is a great place for the kids to run around, play with the musical pieces of art, check out the look out tower for different parts of the city, and play with water (which we later found out we were not supposed to go inside. Oops!). It’s a great day when 2 out 4 kiddos pass out as soon as we get in the car. Lunch: Bring your own or eat at Rusty’s Pizza Parlor (walking distance) for pizza and a great salad bar. Be sure to tag #MCCAdventuresWithKids so I can see your adventures! Documenting 10 pictures on the 10th day of the month. Here is a peek into our day! I’m so thankful to my sweet hubby for hanging out with the kids on weekend mornings so that I could sleep in. I finally peeled my self out of bed and made breakfast. Breakfast was a bagel, cream cheese and hard boiled egg with coffee. I unloaded the dishwasher and loaded it back again and went over to the couch and snuggled up to watch kids baking championship. We love this show! I wrapped a few birthday gifts for the weekend. I love a fun pattern! I started my least favorite household thing, laundry. Ugh! I popped over to Sarah’s room. She was playing with her water beads set. Birthday party for Miss Aubrey. Her decor was the cutest! Back home and in Pj’s. Hubby made dinner and we watched The Titan Games on the couch. After the kids went to bed, I passed out. I wasn’t feeling too well. See past 10 on 10 posts below.